Obstructive sleep apnea (OSA) syndrome is caused by upper airway collapse during inspiration, causing intermittent hypoxemia, hypercapnia, acidosis, sympathetic nervous system activation, and arousal from sleep. Mounting evidence shows that OSA is a risk factor for cardiovascular disease which is supported by epidemiological association studies. Longitudinal cohort studies also provide evidence that patients with untreated severe sleep apnea have an increased rate of cardiovascular events. The prevalence of coronary artery disease (CAD) is 3 to 5 times higher in patients with OSA compared with control populations (1, 2, 3, 4, 5, 6, 7). 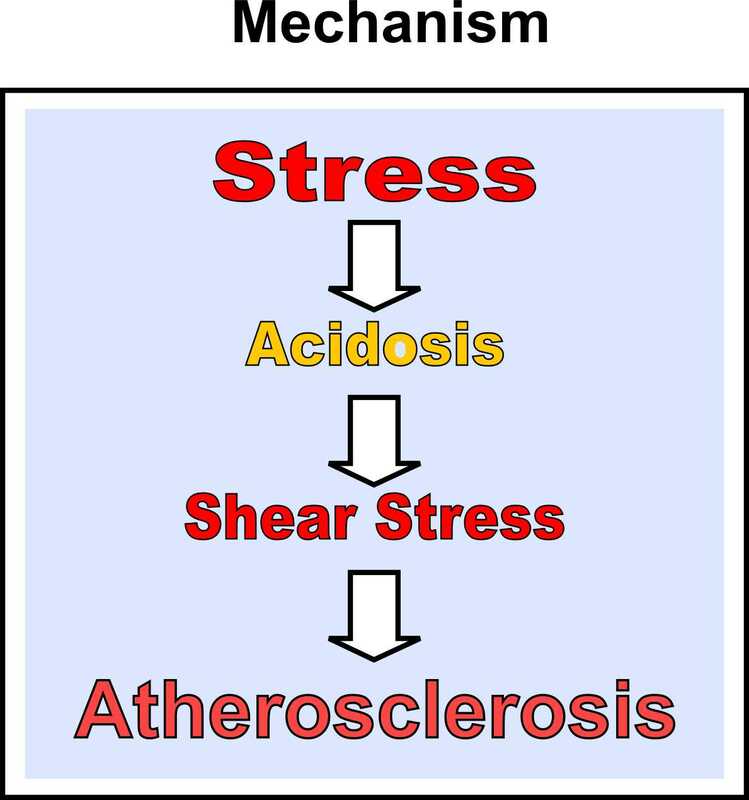 Atherosclerosis is recognized as the precursor stage of coronary-myocardial disease. A very recent paper published in Circulation Journal (8), by far the largest study to date, has showed that moderate to severe obstructive sleep apnea increases the risk of coronary heart disease or death by 68% in men under the age of 70, but does not increase the risk for men over 70 or for women. A total of 1927 men and 2495 women 40 years of age and free of coronary heart disease and heart failure at the time of baseline polysomnography were followed up for a median of 8.7 years in this prospective longitudinal epidemiological study. Increased carotid intima-media thickness (IMT) and plaque occurrence was reported in OSA patients without any other significant co-morbidity compared to matched controls (9, 10, 11, 12). The prevalence of hypertension is very high and the incidence of hypertension increases as the number of apneic and hypopneic events per hour rises. The association of OSA and hypertension has additive effects on the development of atherosclerosis. Daytime hypertension develops secondary to the persistently elevated sympathetic state (13). In a recent study of 94 middle-aged patients, the intima-media thickness of carotid artery was positively related to systolic blood pressure and apnea-hypopnea index (14). OSA patients experience intermittent hypoxaemia and CO2 retention that modify the autonomic and haemodynamic responses to sleep (15). Indeed, chronic intermittent hypoxia may lead to sympathetic overactivity (16, 17). A study has shown that with mild apneic events (duration < 20 seconds), pretreatment with 100% oxygen effectively eliminated most of the increase in sympathetic nerve activity (25). It is interesting to notice that continuous positive airway pressure treatment may reverse early signs of atherosclerosis (18). There is increasing evidence that intermittent hypoxia is independently associated with dyslipidemia (19). In addition to clinical data, animal experiments also support a role of intermittent hypoxia in the pathogenesis of dyslipidaemia in sleep-disordered breathing (20, 21, 22). The studies above mentioned confirm old experiments performed on rabbits where oxygen deficiency was attained by placing the animals daily into a chamber with decreased oxygen content (down to 12%) for 3–6 hours, for 4 months. It was shown that prolonged hypoxia brings about a high hypercholesterolemia and greatly intensifies the development of aortic and coronary atherosclerosis (26). The demonstration that chronic intermittent hypoxia may lead to sympathetic overactivity and dyslipidemia adds more evidence to the acidity theory concept (23), with intermittent hypoxemia joining to other key factors for atherosclerosis, as discussed recently in this blog (24). 1. Levy P, Pepin JL, McNicholas WT. Should all sleep apnoea patients be treated? Yes. Sleep Med Rev 2002; 6:17–26. 2. Marin JM, Carrizo SJ, Vicente E, Agusti AG. Long-term cardiovascular outcomes in men with obstructive sleep apnoea–hypopnoea with or without treatment with continuous positive airway pressure: an observational study. Lancet 2005; 365: 1046–1053. 3. Pepperell JC, Ramdassingh-Dow S, Crosthwaite N, et al. Ambulatory blood pressure after therapeutic and sub therapeutic nasal continuous positive airway pressure for obstructive sleep apnoea: a randomised parallel trial. Lancet 2002; 359: 204–210. 4. Marin JM, Carrizo SJ, Vicente E, Agusti AG. Long-term cardiovascular outcomes in men with obstructive sleep apnoea-hypopnoea with or without treatment with continuous positive airway pressure: an observational study. Lancet. 2005;365:1046-1053. 5. Unruh ML, Enright PL, Polak JF, et al. The relationship of sleep apnea to carotid wall thickness among a large cohort of older adults. Sleep. 2005;20:A112. 6. Peker Y, Hedner J, Kraiczi H, Loth S. Respiratory disturbance index: an independent predictor of mortality in coronary artery disease. Am J Respir Crit Care Med. 2000;162:81-86. 7 Mooe T, Franklin KA, Holmstrom K, Rabben T, Wiklund U. Sleep-disordered breathing and coronary artery disease: long-term prognosis. Am J Respir Crit Care Med. 2001;164:1910-1913. 9. Drager LF, Bortolotto LA, Lorenzi MC, Figueiredo AC, Krieger EM, Lorenzi-Filho G. Early signs of atherosclerosis in obstructive sleep apnea. Am J Respir Crit Care Med 2005; 172: 613–618. 10. Baguet JP, Hammer L, Levy P, et al. The severity of oxygen desaturation is predictive of carotid wall thickening and plaque occurrence. Chest 2005; 128: 3407–3412. 11. Minoguchi K, Yokoe T, Tazaki T, et al. Increased carotid intima–media thickness and serum inflammatory markers in obstructive sleep apnea. Am J Respir Crit Care Med 2005; 172: 625–630. 12. Baguet JP, Hammer L, Levy P, Pierre H, Launois S, Mallion JMv, et al. The severity of oxygen desaturation is predictive of carotid wall thickening and plaque occurrence. Chest 2005; 128: 3407-12. 14. Drager LF, Bortolotto LA, Krieger EM, Lorenzi-Filho G. Additive effects of obstructive sleep apnea and hypertension on early markers of carotid atherosclerosis. Hypertension 2009; 53 : 64-9. 15. Somers VK, Dyken ME, Mark AL, Abboud FM. Sympathetic nerve activity during sleep in normal subjects. N Engl J Med 1993; 328 : 303-7. 16. Johnson, T. S., J. B. Young, and L. Landsberg. Sympathoadrenal responses to acute and chronic hypoxia in the rat. J. Clin. Invest. 71: 1263-1272, 1983. 18. Drager LF, Bortolotto LA, Figueiredo AC, Krieger EM, Lorenzi-Filho G. Effects of continuous positive airway pressure on early signs of atherosclerosis in obstructive sleep apnea. Am J Respir Crit Care Med 2007; 176: 706–712. 19. Drager, Luciano F; Jun, Jonathan; Polotsky, Vsevolod Y. Obstructive sleep apnea and dyslipidemia: implications for atherosclerosis. Curr Opin Endocrinol Diabetes Obes. 2010 Apr;17(2):161-5. 21. Li J, Thorne LN, Punjabi NM, Sun CK, Schwartz AR, Smith PL, et al. Intermittent hypoxia induces hyperlipidemia in lean mice. Circ Res 2005; 97 : 698-706. 22. Li J, Savransky V, Nanayakkara A, Smith PL. O’Donnell CP, Polotsky VT. Hyperlipidemia and lipid peroxidation are dependent on the severity of chronic intermittent hypoxia. J Appl Physiol 2007; 102 : 557-63. 25. Leuenberger U, Jacob E, Sweer L, Waravdekar N, Zwillich C, Sinoway L. Surges of muscle sympathetic activity during obstructive apnea are linked to hypoxemia. J Appl Physiol 1995;79:581– 8.